Stradat; Eto Russkiĭ paren- "That Russian Guy"
Nickname(s): Eto Russkiĭ paren (That Russian Guy), Netsivilizovannyĭ (Uncivilized), Varvar (Barbarian; Given by his mother), Kiska (Wimp), and Zhopa (Jerk). Height: Five feet, five inches. Sound of Voice: It sounds firm, yet soft. His vocals are very reformed, sounding much like a child's. Yet, it has the ability to made more sharp by deepening it. 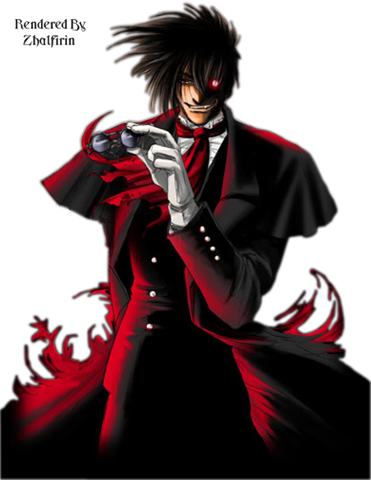 Hobbies: Training, Flirting with girls, and Eating Hollows. Likes- Girls, Eating Hollows, Training, and studying the fellow Hollows/Arrancar. Dislikes- Losing, Getting a Target taken from him, and rejection. Personality: He is a Charovnitsa, in English: a charmer. He likes to flatter the people he meets; he believes that will get him far in the world. If someone likes him, they'd be more willing to do the things he says. Of course, that doesn't always work; he's still a Fraccion. There are some things that being a Charovnitsa won't solve. He especially uses this charm on women in the Arrancar force; he does it so him and the Blyadis (not translated for a reason) can have a "fun time," together. He "tries" to use it on the officers, but it doesn't work in promotions of extended training. He gets what he gets, and will take what he gets when he gets it. In Battle, his personality is quite different. He likes the flatter or distract the opponent, complimenting them or something. He uses distractions as a means of getting surprise attacks in because he knows he isn't the fastest or most knowledgeable Arrancar in it's population. He simply goes on with distractions, and makes jokes to overthrow the opponent "literally," with just their anger. It's up to them whether or not they can handle an immature person, or just go ballistic over their "weak," mind-manipulating talk. History/Background: He was born in Russia on Planet Earth, the Third Planet from the Sun in the Milky Way Galaxy. As he grew up, he was called Kiska ("Wimp") due to his cowardess, and constant kiss-up attitude. As proof of it, he was a teacher's pet in most of his school classes, always staying comfortably kind to them. He was considered a weak, spineless Zhopa (Jerk) to them. As for him, he didn't disagree with this claim; he had no idea of how to respond to such words. He put them aside though, studying through school, and letting it go. In College, he would study the English language, and become a History Teacher. As for his time becoming a Hollow, he was attacked by one of the cretins due to a Shinigami's inability to take it out in time. He in time became a Hollow, and attacked his loved-ones. After taking them out, and achieving the Hyogoku (sp? ), he would become an Arrancar with his own Resurrecion form. Bewildered by the news, he starts training in his old body - the one he perceives was from when he was a "Kiska." He is currently waiting to start his training, so he can perfect his Arrancar powers, and use the Resurrecion form in a sufficient, above average-way.